Dr. Brett Elicker is a radiologist based in San Francisco, California. He has been practicing medicine for the past 12 years. Dr. Elicker graduated from the New York Medical College. He continued with an internship in internal medicine at the Kaiser Permanente Medical Group and a residency stage in radiology at Yale-New Haven Hospital. Dr. Brett Elicker is a board-certified specialist in diagnostic radiology. During the past years, he has also been a devoted researcher. He contributed to numerous studies and some of the subjects that captured his interest were lung biopsies, paradoxical embolism, pulmonary fibrosis, rheumatoid arthritis associated interstitial lung disease, lung mast cell density, heart imaging evaluation, endotracheal Pseudomonas aeruginosa, high-resolution CT of the lung. 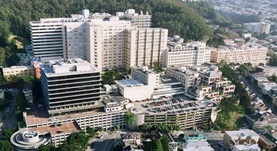 Dr. Elicker currently collaborates with UCSF Medical Center and San Francisco General Hospital and Trauma Center. Dr. Brett M. Elicker has contributed to 3 publications. Multidisciplinary Approach to Hypersensitivity Pneumonitis. Elicker, B. M.,Jones, K. D.,Henry, T. S.,Collard, H. R.; J Thorac Imaging. 2015 Oct 20. Understanding Cost-Effectiveness Analyses: An Explanation Using Three Different Analyses of Lung Cancer Screening. Curl, P. K.,Kahn, J. G.,Ordovas, K. G.,Elicker, B. M.,Naeger, D. M.; AJR Am J Roentgenol. 2015 Jul 24. Clot Through the Heart: Paradoxical Embolism With Thrombus-in-Transit at Multidetector Computed Tomography. Leach, J. R.,Elicker, B.,Yee, J.,Puppula, S.,Wisneski, J. A.,Yeh, B. M.; J Comput Assist Tomogr. 2015 Mar 11.